“I wish to address the integrity of our tax system. The laughable suggestion is that we must lodge the [Apple tax ruling] appeal in order to defend its integrity. 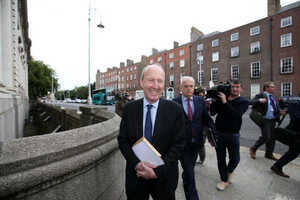 The first of the tax rulings was in 1991, the era of Ansbacher and Charlie Haughey. Via Ansbacher accounts, the Irish rich had been siphoning off money that was onshore but supposedly offshore since 1971. Only political pressure, outrage and exposure, not Revenue, forced the establishment of the McCracken tribunal. It was only in 1999 that Revenue finally decided to start investigating the matter and uncovering the funds. Is our tax system so covered in glory that we would not question its integrity? I am afraid not. The tax ruling of 2007 is what I really want to discuss. Something was raised at the committee about which we were not allowed to ask questions of Apple and Facebook because the Government side turned off the cameras and voted down the proposal. A paper produced by the Department of Finance, authored by Mr. Seamus Coffey, showed some of the figures. Nobody bothered to read them, as is so often the case, but the truth is in them. I refer our economic and political correspondents to pages 27 and 28 of the Department’s paper on Ireland’s effective corporate tax rates. They show something incredible. The average amount of what are called deductions – parts of companies’ profits that can be written off from their tax liabilities as costs – jumped from an average of approximately €2 billion in 2004 and 2005 to €21 billion in 2011. God knows what they were subsequently, as we do not have the figures and cannot get them from Revenue for four or five years after the fact, which is another scandal. The greatest jump in that write-off came after the 2007 ruling, when it increased from €6 billion to €19 billion before increasing to €21 billion within a year or two. The paper helpfully mentions that this can be explained by patent royalties paid by certain multinationals to their subsidiaries. The ruling gave them certainty that they would be allowed to write their own tax bills indefinitely. The Government colluded to cover this up until now. The paper that the Government distributed last night and that is also a part of the cover up helpfully tells us about a few points. This is the Government that will deduct unjust property taxes from people’s wages if they do not pay. 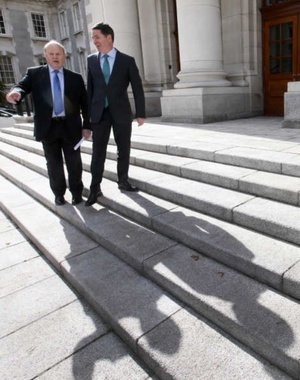 This is the Government that will send police out against anti-water charges protestors because they are unable or unwilling to pay unjust water charges. This is the Government that inflicts the brutal austerity imposed by the troika to pay off the gambling debts of banks and financial speculators regardless of the hardship suffered by ordinary people. This is what happened. No arm’s length principle, no equality, no tax justice. They tell Revenue how to calculate their tax and Revenue does it. Please do not tell me that, when the allowable deductions from profits jump by approximately €18 billion or €19 billion in two or three years, the Government and Revenue did not notice or that the Government did not know that these profits were being shifted to companies that had tax residencies nowhere in the world. …Everybody knew that they were involved in massive tax evasion but we chose to turn a blind eye and, indeed, to put in place the mechanisms that allowed them to do it. We then resisted the calls to close down that loophole. The Government now claims that it has done so but it has given a sunset clause under which the same companies and no other can avail of the double Irish until 2020. In the meantime, the Government has developed a patent box that will allow them to do the same thing in a different way, that is, write off the profits generated from upgrading an iPhone or Apple computer against the cost of new innovations and developing new patents. Apple is appealing, so we will not be able to spend the money anyway, but how much weaker would Apple’s case be if the Government accepted the ruling because it was true that we had done something wrong? Everyone knows that we gave selective advantage to these corporations. I have just provided the hard evidence contained in Revenue’s tables, which show that Revenue must have known.If it and the Government did not notice this scale of profit shifting, they should be flung out on their ears. Of course they noticed it. If we put up our hands and admit that this was wrong and that, as everyone knows, these companies were evading tax to the tune of billions of euro, Apple’s case against the European Commission would collapse. 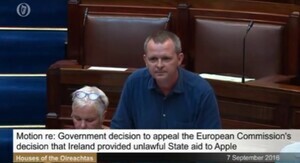 Richard Boyd Barratt TD of people Before Profit/Anti-Austerity Alliance speaking during today’s debate on the Apple Tax ruling appeal. Posted in Misc and tagged Apple tax, Richard Boyd Barratt at 6:02 pm on September 7, 2016 by Broadsheet. 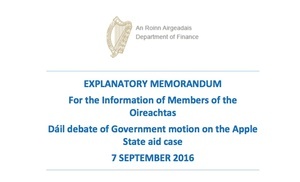 The Department of Finance have sent out a briefing document to TDs ahead of today’s debate on the EU’s Apple tax ruling. 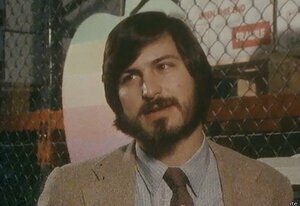 In 1991, a basis proposed by Apple for determining Apple Computer Ltd’s Irish branch net profit was agreed by Revenue. According to that ruling, the net profit attributable to the AOE branch would be calculated as 65% of operating expenses up to an annual amount of $60- 70 million and 20% of operating expenses in excess of $60-70 million. This was subject to the proviso that if the overall profit from the company was less than the figure resulting from this formula, that lower figure would be used for determining net profits of the branch. Operating expenses included in the formula were all operating expenses incurred by Apple Computer Ltd.’s Irish branch, including depreciation but excluding materials for resale and cost-share for intangibles charged from Apple-affiliated companies. (b) an IP return of 1-9% of branch turnover in respect of the accumulated manufacturing process technology of the Irish branch. Sweetheart deal, state aid or nothing to see here? Posted in Misc and tagged Apple tax at 11:03 am on September 7, 2016 by Broadsheet. Apple is no stranger to state aid and while its founder is often hailed as one of the world’s greatest tech innovators the reality tells a very different story. Italian-American economist Mariana Mazzucato explains how Apple exploits technologies that were developed AND crucially funded by the US State. Many of the technologies found on the modern iPad or iPhone were developed by the Advanced Research Projects Agency (ARPA), founded in 1958, during the Eisenhower administration. It is responsible for the early development of microprocessors and micro hard-drive technologies, and ultimately the internet itself. Technologies such as Global Positioning Systems owe their origins to state funded military projects and Liquid Crystal Display technologies were funded by the National Science Foundation (NSF). Swiss-based CERN, the European Centre for Nuclear Research contributed the source of the hypertext languages, used in web browsing and also the basis for Apple’s famous ‘click-wheel’. All those well-known Apple innovations turn out not to be Apple’s after all. What Apple is especially good at – and we’re not taking it from them – is design. They have done an excellent job of pulling together some very useful technologies and installing them on ergonomic and aesthetically pleasing devices; turning these technologies into something consumers really want to buy is their great talent. They are a wonder of marketing, certainly. But let’s not fool ourselves that they invented the technologies that their products are famous for; and the idea that they should be entitled to any proprietary rights to the technologies that they exploit is very very questionable indeed. Apple makes billions. They do this off the back of technologies that were developed using government funding. 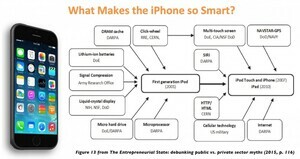 it is ironic that Apple should be so guarded about the proprietary rights protecting their product innovation. Apple initiated litigation against its key partner and competitor, Samsung, for patent infringement – a saga which has become known as the ‘smartphone patent wars’(3) and has seen subsequent litigations against Motorola and HTC(4). Apple was also incensed by the open source nature of Google’s Android platform – which gives free access to manufacturers and developers – deeming it an “existential threat” to the company’s existence. He swore to spend “every penny” within Apple’s coffers to “destroy Android”.. More than a little contradictory for a company that owes its successes to publicly funded technologies – share and share alike Steve! In addition to this legal state aid from the US, Apple has also benefited from what we now know to be illegal state aid from Ireland. Ireland doesn’t have the budgets (nor the impetus) that the NSF does, but, according to the European Commission it has helped Apple to avoid its tax obligation across the globe. It deemed that through two tax rulings, in 1991 and 2007, Apple had been granted selective treatment. 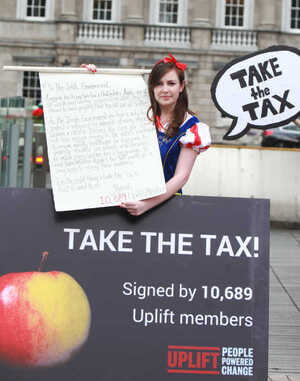 Essentially, Ireland’s reluctance to take tax from Apple amounts to “illegal state aid” which gave the company an “unfair advantage” over its competition. Paradoxically, the Commission is not doing this for the public good, but because it amounts to unfair competition over other market-led corporations. This makes it very difficult for the Irish government to defend as the EU position does not run contrary to the government’s market-liberal policies one bit. Essentially, the Irish government is being hoisted up by its own free-market ideals. This reminds us of the controversy – or lack thereof – surrounding the early days of the bank bail-out, when only real opposition trotted out was that it might be unfair to European banks! We’re all familiar with Benjamin Franklin’s oft-used saying about the certainty of ‘death and taxes’. Tax is the money the State ‘earns’ in order to pay for everything it needs to provide for its citizens, and for the continued functioning of industry and commerce – the roads, the energy networks, the educated workforce – it’s part of the social contract. Yet, so beholden have successive Irish governments become to companies like Apple over the promise of jobs that the State it seems is willing to overlook any other obligations these Multi National Corporations (MNCs) might have to their adoptive homes. In the early days of the post-war years during the New Deal and Marshall Plan, when governments were actively rebuilding economies on both sides of the Atlantic, governments had the reasonable assurance that the investments they made in developing industry would come back in taxes. But the new reality of global business – of tax inversion and tax sheltering – is destroying that pact; and perhaps jeopardising the very social contract in the process. 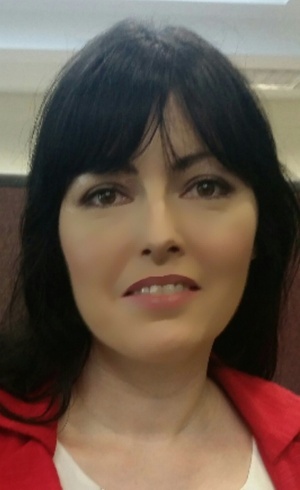 Ciara Graham is Lecturer in Business at the Institute of Technology Tallaght..
Mazzucato, M. (2015) ‘The Entrepreneurial State’: Debunking Public vs. Private Sector Myths. London: Anthem Books. Mazzucato, M (2013) “The Entrepreneurial State: Apple Didn’t Build Your iPhone; Your Taxes Did” PBS Newshour, Available at: http://www.pbs.org/newshour/making-sense/the-entrepreneurial-state-appl/ Accessed: August 30th, 2016.
http://www.bloomberg.com/news/articles/2012-03-29/apples-war-on-android Accessed: August 31st, 2016. Posted in Misc and tagged Apple tax at 9:41 am on September 6, 2016 by Admin. (i) Supports the Government decision to appeal the European Commission’s decision that Ireland provided unlawful State aid to Apple. 5. To arrange for a review of Ireland’s corporation tax system by an independent expert to be appointed by the Minister for Finance, excluding the 12 and half per cent corporation rate. 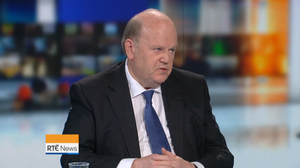 Posted in Misc and tagged Apple tax, Michael Noonan at 6:26 pm on September 2, 2016 by Broadsheet. Everyone has to pay their tax and that includes Apple, one of the world’s most wealthy corporations. When they’re allowed to avoid paying their tax bill, we all suffer. We, the undersigned, remind you that you have a choice and an opportunity to stand up for the people of Ireland over the interests of Apple. 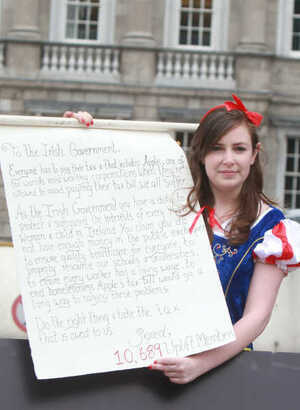 We call on you to not appeal the decision that Apple owes Ireland €13 billion. Don’t stand in the way of Apple paying what they owe. Posted in Misc and tagged Apple tax, Uplift at 12:43 pm on September 2, 2016 by Broadsheet. Posted in Misc and tagged Apple tax at 11:58 am on September 2, 2016 by Broadsheet. 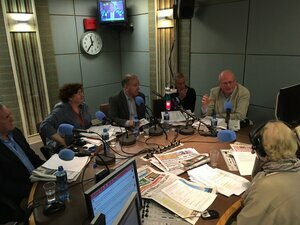 The panel – Eoin Fahy, chief economist with KBI Global Investors, Minister for Housing Simon Coveney, Anti-Austerity Alliance TD Ruth Coppinger and Dr Aidan Regan, from the School of Politics and International Relations in UCD – discussed the Apple tax bill with presenter David McCullagh. 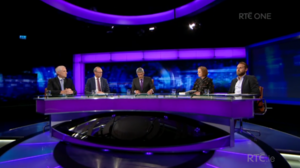 Dr Aidan Regan: “This is the crucial point that really wasn’t picked up either, in the preceding interviews, the ruling that the Commission have issued basically states that Ireland should apply its tax laws, 12.5% consistently. “Now the point from the Commission’s perspective is that that’s perfectly legal and it has been legal. Now, the Government has since closed it. The argument of the Commission is that’s illegal state aid. So this is an argument about competition. The Commission is saying that Ireland has broke the laws of the European Union by facilitating a large multinational to have comparative advantage over its competitors in the market. Posted in Misc and tagged Aidan Regan, Apple tax, Prime Time at 10:26 am on September 2, 2016 by Broadsheet. On the Today with Seán O’Rourke show. 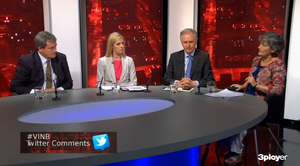 Fine Gael Minister for Education and Skills Richard Bruton, Anti-Austerity Alliance TD Paul Murphy; former IMF director Donal Donovan, and Irish Independent editor Fionnan Sheahan were on the panel to talk about the Apple tax ruling. 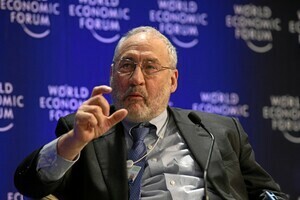 Later in the show, Nobel prize winning economist Prof Joseph Stiglitz spoke to Mr O’Rourke. 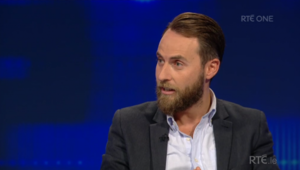 “I think they’re [the Irish Government] wrong [to appeal]. I think, it was an interesting discussion [above]. I thought, to put it frankly, what the minister was saying is all utter balderdash. The fact is that you were encouraging tax avoidance, you knew it, let’s not make any pretence about it. You got a few jobs at the cost of stealing revenues away from countries around the world and that’s the kind of activity that has to be stopped. 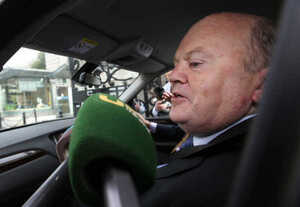 Minister for Finance Michael Noonan spoke to Brian Dobson about the ruling. 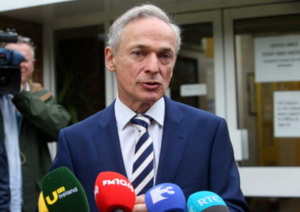 Posted in Misc and tagged Apple tax, Donal O'Donovan, Fionnan Sheahan, Ireland, Joseph Stiglitz, Michael Noonan, Paul Murphy, Richard Bruton at 1:40 pm on August 31, 2016 by Broadsheet.